Last week I sat down with a group of third grade students for our weekly scheduled book-club lunch bunch. I'd taken a risk with the book- instead of a humorous book designed to get the very active third grade boys to analyze character traits I decided to introduce one of my personal favorites and try to talk about character traits in something a bit more serious. 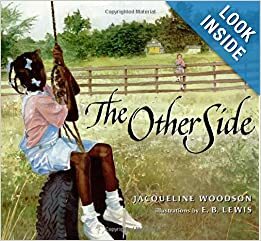 We read The Other Side by Jaqueline Woods. The book is told from the perspective of an African American girl whose property is separated from a white girl's property by merely a fence. Both girls' mothers have told them not to play on the other side of the fence, but the white girl keeps coming and sitting on the fence and asking to play with the African American girls who tell her no. Eventually after a summer of watching each other the main character goes and sits beside her white neighbor on the fence- neither girl is breaking the rule and going to the other side, but instead stay right in the middle where they become friends. In the past when I've read this book I've read it to kindergartners and first graders who do not have much of a background at all about segregation and discrimination. They never can quite wrap their heads around the Martin Luther King lessons- "But we're the same!" they tend to tell me with confusion, as though I've somehow forgotten this and made up Martin Luther King all on my own. It is always a moment of hope and sadness mixed together- the hope of knowing how innocent the children are and how their world is so different than Martin Luther King's. And sadness because of the fear that one day they may experience that their innocent assumption "we are all the same" is not how everyone sees the world. Third graders are different. They have a background in segregation and some have experienced discrimination themselves. They are old enough to be aware that their "but we're all the same" thoughts from kindergarten do not hold true in the greater scheme of the world. I wasn't sure how they would react to it, but I thought it may provide some good conversations so I took the risk. At first they were shocked that the discrimination came from the African American family. One student launched into how wrong that was- and how it was only the mean white people he read about in books. The others nodded along with him. They had never considered that there was more to our history than older white people telling everyone where to sit on the bus or what schools to go to. As the book went on we talked about following our parents' rules and how the African American girls were only doing what their family told them to do. We talked about how people are scared of what they do not understand. We analyzed how the children in the book worked around the rule in order to not break it but still be friends with one another. I was amazed by their honest talk about segregation. One student pointed out that in his old school there were very few white kids- not so different than a long time ago. "This school is different" he noted, "We are ALL different colors." 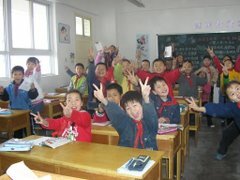 Their understanding of the book- their conclusions that the children were doing the right thing by being friends- that grown ups do not always know best, and that sometimes just because some people are scared of things they do not understand does not mean we all need to be scared- gave me hope. They are thinking beyond what is easy and looking at what is right. 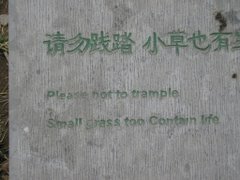 These are the people we need more of.